Spring Cleanse: What Is The Best Way To Detox? But, what is the best way to cleanse, or detox, your body? The liver: Your first line of defense against toxins is your liver, which acts like a filter in preventing toxic substances contained in foods from passing into your blood stream. The colon: This organ has bacteria that produce both healthy and unhealthy chemicals. You want to keep your colon flowing regularly since its main role is to flush out toxic chemicals before they can do you any harm. The kidneys: Like clockwork, the kidneys are constantly filtering your blood and getting rid of toxins in the form of urine. For a detox diet to truly work, you need to maintain these three key organs." I absolutely agree with Dr. Oz! But, I have a few helpful tools to add to his detox diet recommendations to support these three critical organs. First, take the enema series. Take one a day for a week, then every other day for a week, then once a week for a month. The enema series, using therapeutic enema solutions like essential oils, Celtic Sea Salt and coffee, is an effective way to keep your colon flowing regularly and assists the colon to optimize for healthy bacteria. The enema series is also an effective way to help your liver with its incredibly important job. Second, drink 1 ounce of therapeutic water per pound of body weight throughout the day. You don’t need to buy expensive drinking water. Simply use filtered tap water, add a pinch of Celtic Sea Salt to each quart and a few drops of essential oils such as Tangerine, Orange, Citrus Fresh, or Peppermint. Drinking therapeutic water is essential for supporting all three organs. Third, take the binding agent chlorophyll during the detox process. The work of clearing stored toxins from the body can easily overload the liver, colon, and kidneys. Toxins take time to build up in the body. Again, as he states, "the body has its own extraordinary internal detoxification system!" The body is designed to be able to detoxify on a moment-to-moment basis. It is the build-up of toxins that we address when we embark on a detox program. Toxins took a long time to build up in your body; the most important factor with a detox is to take plenty of time and support your detoxification organs so you make certain you don’t just stir up toxins, which can cause toxins to drive deeper into the body leading to cancer, heart disease, fibromyalgia, multiple chemical sensitivity, and more. 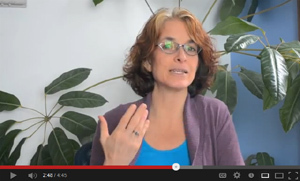 Watch my How to Detox: Spring Cleanse video to learn more.